Botkeeper is an automated bookkeeping software that combines automatic data entry, artificial intelligence (AI), and accountant supervision. 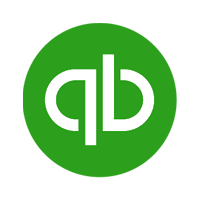 Its features include reporting, inventory accounting, payroll management, and more. In this article, we cover Botkeeper reviews and pricing. Ready to try it? Get a free trial. Users who gave Botkeeper a positive review said that the software is scalable and easy to navigate. Most others appreciate its helpful customer support team and bookkeepers, as well as its integration with a wide range of commonly used third-party software. One user who gave Botkeeper a positive review on Capterra like that its platform is convenient to use and customizable. She added that she is impressed with its responsive support team who provides quick replies to their questions, reports, and issues. As of the date this article was written (02/11/19), there are no up-to-date negative Botkeeper reviews online. If you are a past or current Botkeeper customer, leave a review to help others who are deciding whether or not to use the software. Botkeeper has a free plan and five paid subscription options: Essentials ($99/month), Simple ($299/month), Grow ($599/month), Scale ($899/month), and Enterprise (custom priced). The main differences between the plans are the numbers of allowed transactions and users, required accounting software, and the inclusion of premium features (i.e. cash flow & collections assistance and inventory accounting). Ready to try Botkeeper? Get a free trial. Does Botkeeper offer a money-back guarantee? Yes, they do. Users who decide to return to their previous outsourced firm or bookkeeper within the first 30 days of signing up are eligible for the money-back guarantee. Half of all the paid fees before receiving a written termination request will be refunded. Does Botkeeper provide industry-specific solutions? Yes, they do. Botkeeper provides industry-specific solutions for manufacturing, software, tech, SaaS, dental practice, restaurant and hospitality, professional services, and non-profit. 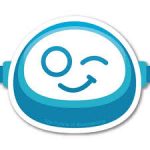 Have you read these Botkeeper reviews and are still not sure if it’s the right fit for you? Read our reviews of all top accounting software providers or check out one of these three Botkeeper competitors. Using artificial intelligence, machine learning, and algorithms, botkeeper automatically categorizes transactions using data from other programs you use, such as customer relationship management (CRM) software, and your linked bank accounts. It’s an easy way to keep an eye on how finances are going for your business without having to input data manually, reconcile accounts, classify transactions, or track anything. Essentially, botkeeper takes care of all the bookkeeping tasks you would have to do yourself. Botkeeper has five plans available from free to $899. There’s also a custom option that allows for unlimited transactions, comparisons, and offers daily bookkeeping, which is more suitable for enterprise-sized companies. Compare the pricing to hiring an actual bookkeeper, and botkeeper comes out on top as a more affordable solution. Getting started with botkeeper begins with an onboarding call that is likely to take a couple hours, so your account manager can get to know how you do business, and what you need. Afterward, an accountant will keep an eye on your account, and after the first month will adjust processes, as needed. It’s a personalized process that ensures nothing important regarding your finances slips through the cracks. You get a fully customizable dashboard with botkeeper, so any metrics you want to see (incomes, expenses, P&L, etc.) will show there. There’s an instant messaging (IM) function there where you interact with a bot or an account manager. 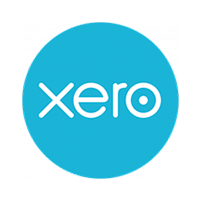 A couple of the big names that botkeeper integrates with are Xero and QuickBooks Online, which are important software integrations if you’re already using them. You can also sync some CRM and payroll services with botkeeper. There isn’t a running list of software integrations on botkeeper’s website, but if it’s something you need, there’s a good chance the people at botkeeper make it work. Botkeeper won’t take care of accounting or taxes, but with a high-tier plan, you can get a monthly review from its accounting team. If spending for your business increases and exceeds the 50 allowed transactions, you’ll be upgraded to the next level plan that allows for more. It’s worth noting that this could be a big surprise expense. So, whether you’re on the free, Essentials, or Simple plan, if you go over 50 transactions, you could suddenly be paying $599 per month for the Grow plan that allows 110 transactions. Customer support is available through email for the two most affordable plans, but you’ll get phone support for all other plans. Getting through to anyone for help, though, isn’t easy. Five phone calls went to voicemail. Upon a successful connection, though, the quality of the call was terrible. Thankfully, we got a call back, but after a few transfers, it ultimately led to a dead-end. Although there is an IM function within the dashboard or portal, the bot doesn’t always have the answer for you, and an account manager isn’t consistently available. In these cases, you’ll have to email your question. There is a 30-day free trial available and there’s a free version of botkeeper, but you have to enter your financial information to use it, which makes sense, given it’s bookkeeping software that should link with your bank account. However, a demo online would be a better choice for those who are wary of giving up sensitive information to try a product. The botkeeper platform is still new, so it has a few improvements left to make, such as integrating communication with the AI-powered bookkeeping bot in the software itself. Support from all areas of the company could be better, too — at the very least, answer the phones. Again, this could be related to botkeeper being so new. Hi Amy, I’m the CEO of botkeeper and would be happy to speak with you. I feel it is unfair for you to say customer service is bad when in fact you are not a customer. In fact, our clients have dedicated lines to customer service and enjoy customer service and support 24/7. That said, when it comes to media or review inquiries we prioritize such inquisitions last and therefore you may not have been able to get ahold of someone at botkeeper as quick as you would have liked. As you can imagine, we have hundreds of vendors and media companies calling botkeeper all the time to sell us services etc. We filter out these communications and prioritize them last in terms of importance…a company that truly values customer service and support always puts the customer first. If you would like to speak with me about botkeeper or discuss our 5 star client rating and learn what it is truly like to be a customer of botkeeper and enjoy our 5 star customer experience service (not media relations) please call me at your earliest convenience and I would be happy to provide additional details. My direct line is 617 648 2401. Kindest, Enrico Palmerino, CEO botkeeper. Thank you for your comment and offer, Enrico! To be clear, when I test software and services, I do so as a client or potential client. I based my review on my experience calling in to the phone number available (not media relations), and my experience was exactly as described as a potential client. Eventually, my questions about the platform were answered by a sales rep, but I didn’t get an email until days later.